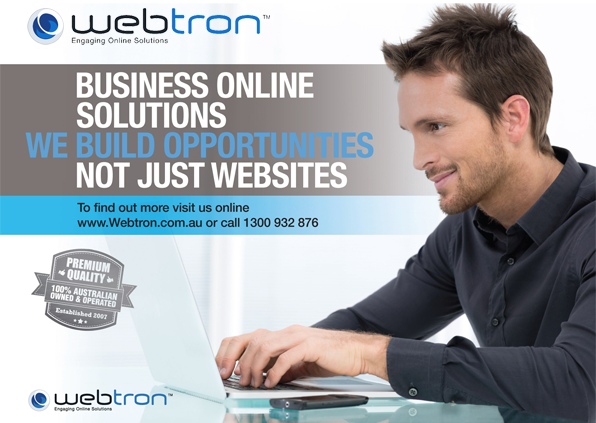 After eight exciting years of serving business small and large, Webtron has moved offices to a location that better allows us to serve your business needs. We’ve hit the ground running in 2015 and with the vast demand from our loyal customers and the growth from our new customers, an office relocation was an obvious decision to be made. This new office means more space, more technology, and more employees to serve YOU. 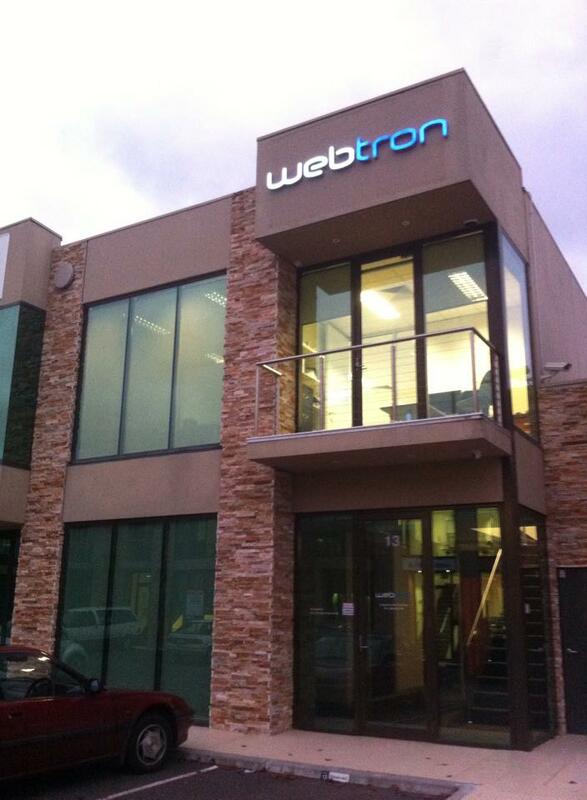 Come and visit us at our new location in Cheltenham to discuss how Webtron can help make your business more profitable. We are now located at 13/328 Reserve Road, Cheltenham, VIC, Australia. Please update your records accordingly. Let us help your business online! Here’s to a continued big and bright 2015 and beyond! Right next to the Onyx Cafe, we feel like we have the best spot in the street! Big office space with all the latest technology. And we light up the skies at night as well. 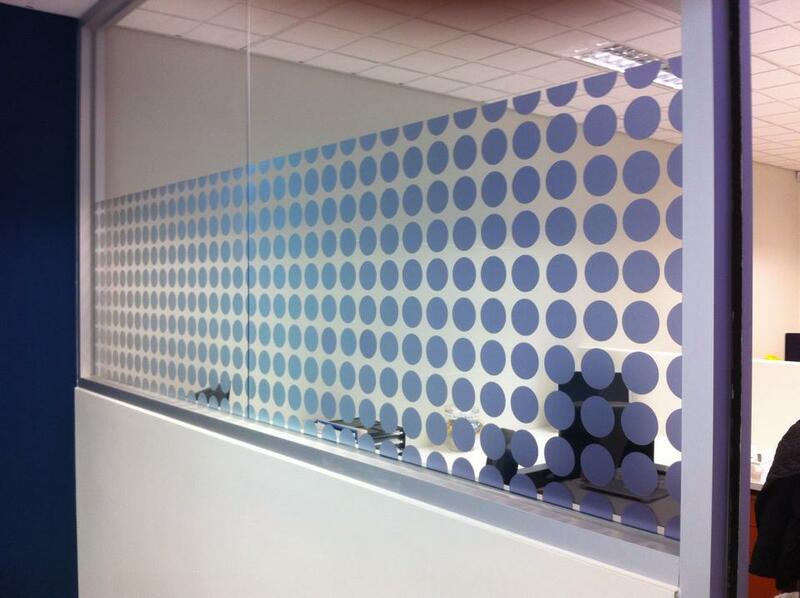 New Ombré style window frosting which provides intimacy during client meetings. Let us help your business online! Is your website not allowing you to achieve the success that you require? 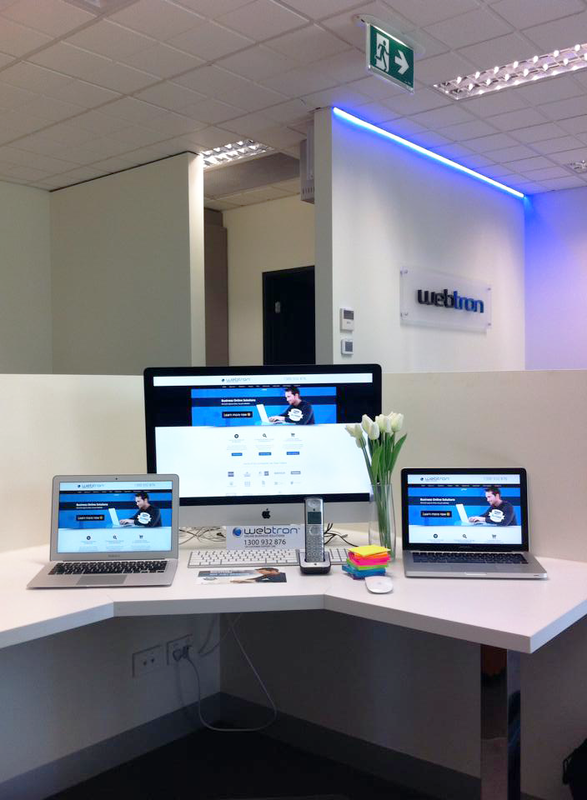 Schedule your next Web Design and Web Development meeting at our new office.